As summer holidays are fast becoming a distant memory and winter is approaching. Many people starting to look ahead to the Winter Ski holiday to put some excitement into the snowy season. 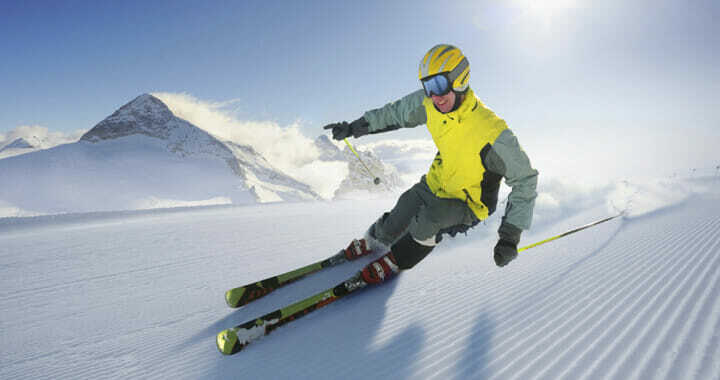 But with the excitement of winter sports can often come the risk of injury. In recent years with advancements in bindings and equipment Skiing is becoming safer and safer but with the nature of the sport comes long hours on the slopes, twisting and load bearing, falls and impact. All of which will place stress on your muscles and joints. So how can we prepare for the ski season to minimise the risk of injury and really get the best from that week on the mountain? It may be a holiday, but if you spend all of your time at a desk or on the sofa in the lead up to your ski trip your body will just not be conditioned to cope with the demands of skiing. Ideally a conditioning programme should start 6-8 weeks before your ski holiday, but any amount of time before is going to help. A general focus on muscle endurance, power, quadriceps (thigh) strength and low back and core strength will improve your skiing experience. But as in all exercise, each body has different needs and ‘niggles’ to iron out. Knowing the specifics of your body and how to re-condition it is the best way to really master your skiing technique and look and feel like a pro. If you are planning a ski holiday over this season why not book a one to one personal training session to establish your exact needs and build a bespoke exercise programme around it. In the meantime, here are my top 3 ski fit conditioning exercises which can be done anywhere with no equipment all in around 15 minutes tops. No excuses, these can be built around your personalised programme to take you to peak piste fitness. This exercise will help you build up general strength in your legs, bum and low back. Stand with your feet hip distance apart, toes pointing forwards, weight in your heels and hands by your hips. Keeping a long straight back sit your bum backwards bending at the hips and knees, reach your arms forwards. Keep your knees over the mid foot and bum no lower than hip height. Aim for controlled movement both on the upwards and downwards phase. This exercise will help you gain stability in your hips and low back by engaging the ‘still’ supporting leg stabilisers. Stand in a high squat position (feet hip distance, toes pointing forwards, bent hips and knees to a high sitting position) with a folded towel or paper plate under your right foot. Keeping alignment with your hip bones, knee caps and second toe on your left leg, gently press the right leg away in a ‘skating motion’ and then return to the start position. The aim is to keep the left leg perfectly still and lined up throughout. Hands on your hips will help you feel if your hips shift, watch for the knee to make sure it doesn’t roll in and the arch of your foot to make sure it doesn’t collapse. This exercise will help you develop overall core and low back strength. Start in long press up position, with a straight back, engaged core muscles and shoulders down your back away from your ears. Carefully lift one foot and draw the knee underneath your body aiming for the wrist. Keep your back straight at all times, replace that foot and alternate to the other. To make this exercise a little easier take your hands up onto a stable chair or table so that your upper body is higher than your lower body to lessen the gravitational force. Article written by Marilyn Percival, Pilates instructor and personal trainer.